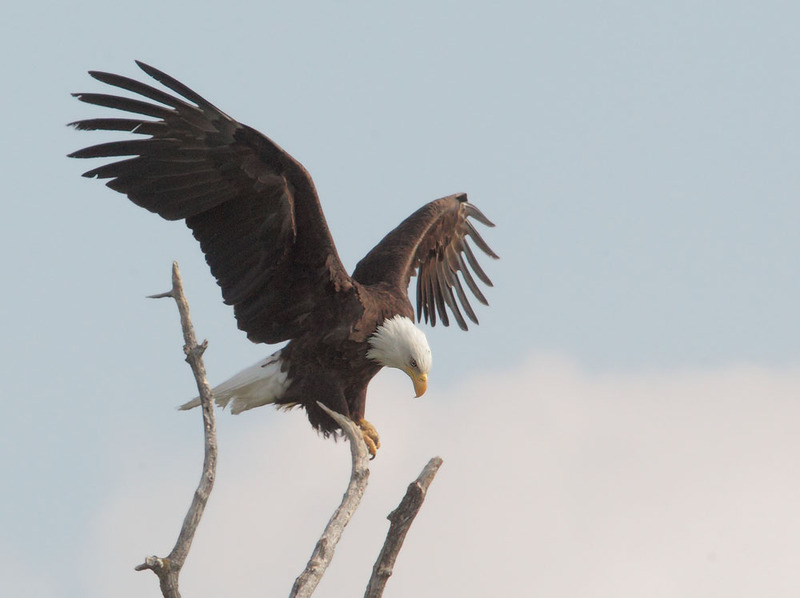 Bald Eagles, coming in to land, above, and departing, below, at the Joe Overstreet Road boat launch on Lake Kissimmee south of Orlando, a fine place to observe these great birds in action. 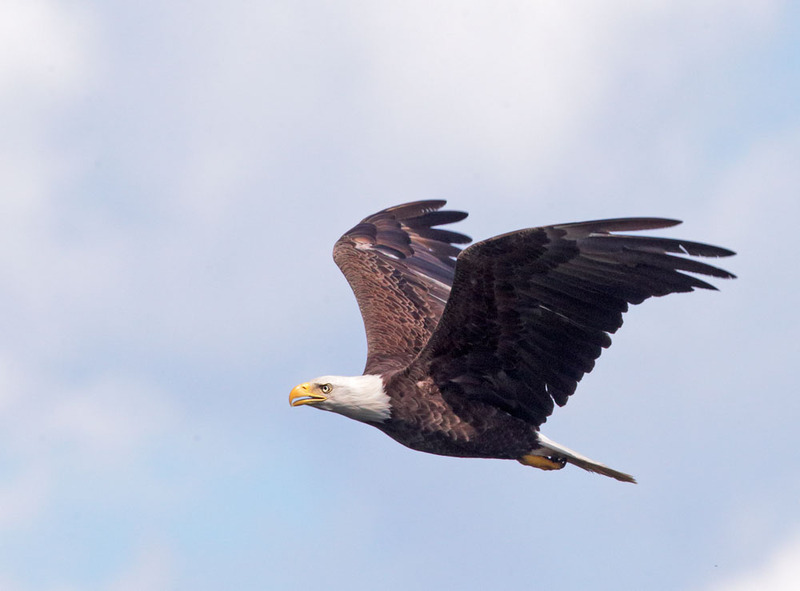 An adult flying by a seaside restaurant in Surry, on the Maine coast, in August. 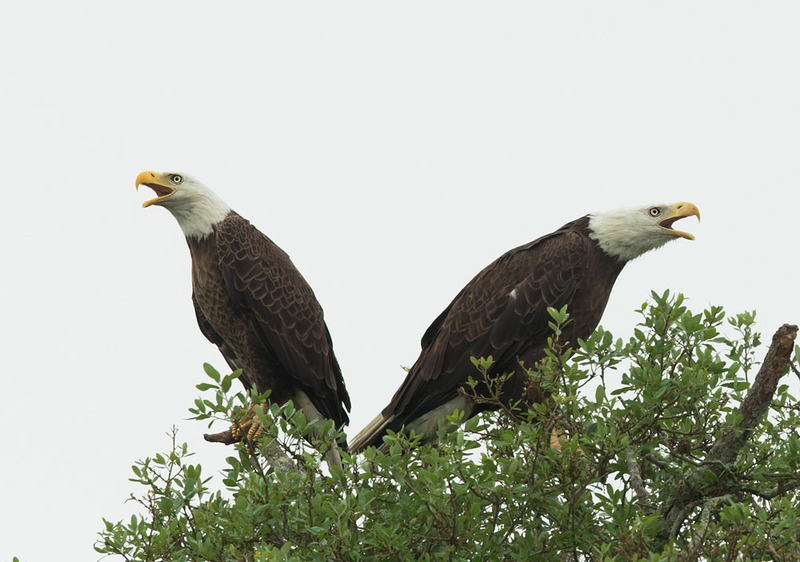 Again at the Joe Overstreet boat launch in Central Florida, Bald Eagles squabbling--the one on the right has a fish. 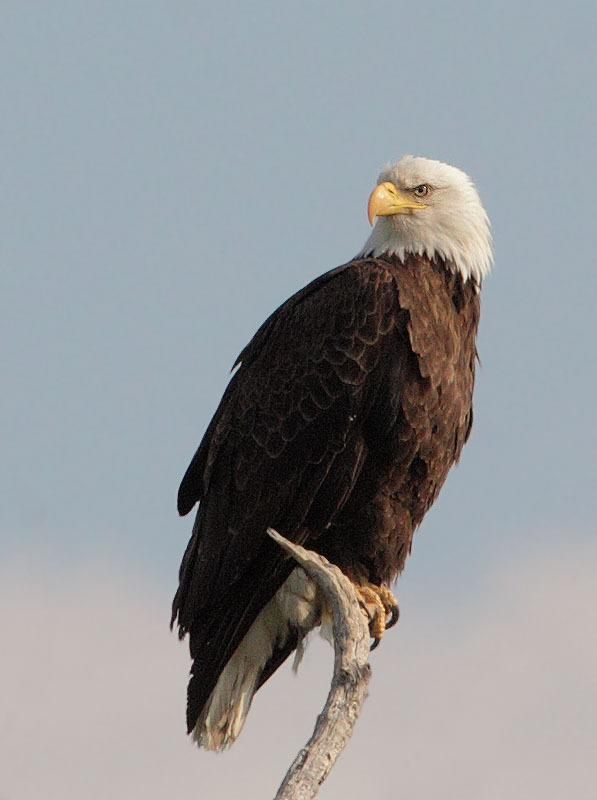 A Bald Eagle alongside Joe Overstreet Road, taken on my first visit there, in 2008. 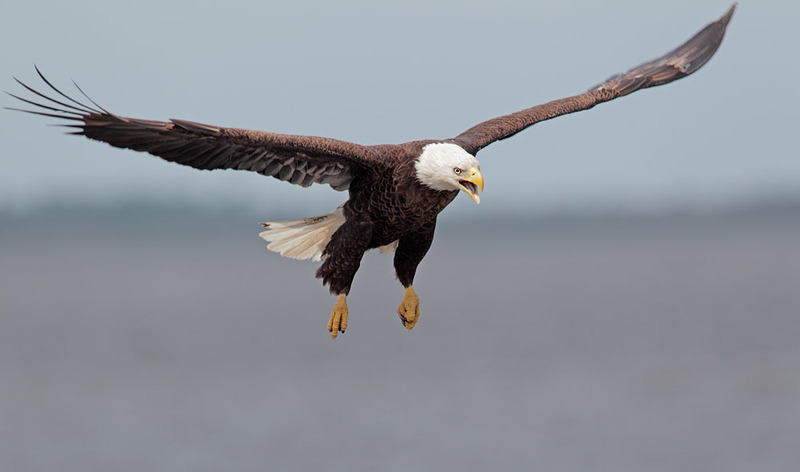 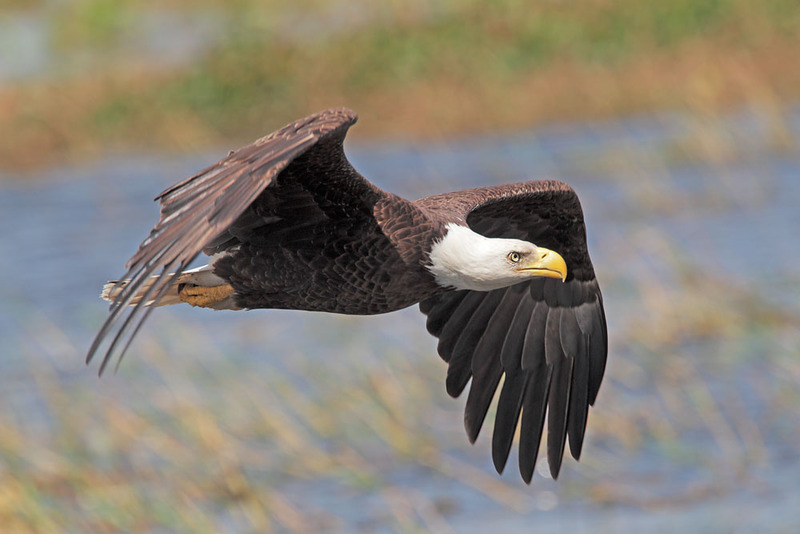 Central Florida has the largest population of Bald Eagles in the lower 48. 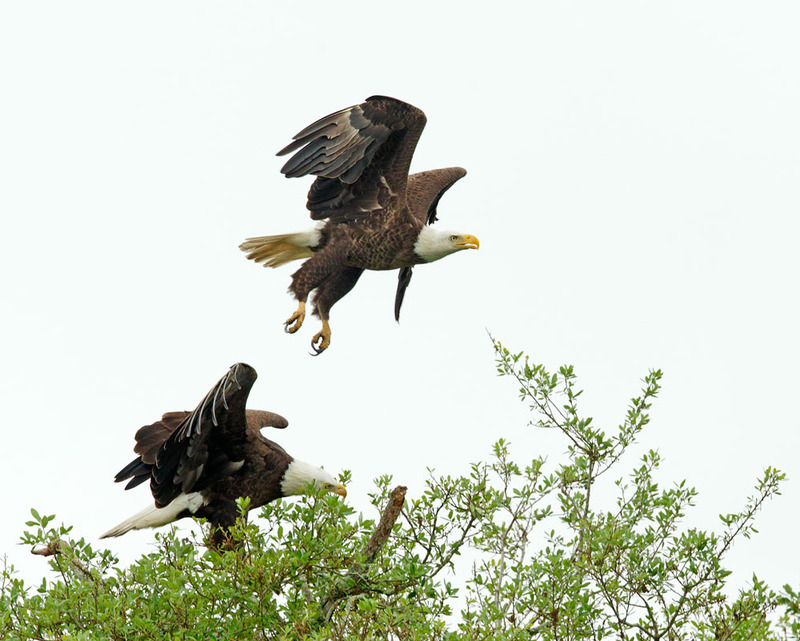 Above and below, more Bald Eagle action at Joe Overstreet Road, this on my third visit there, in 2015--a pair perched together at the pond near the boat launch, and then one of them departing. 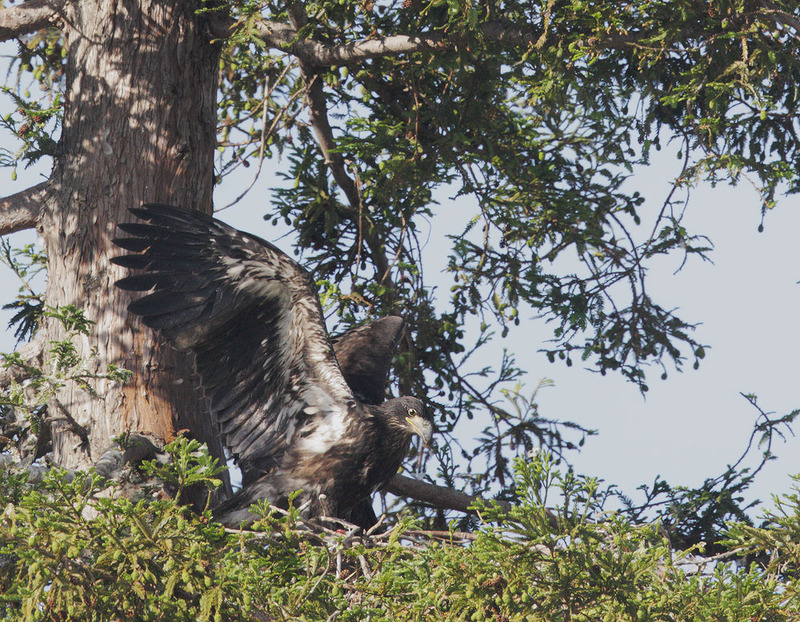 and below, near the nest, in 2011. 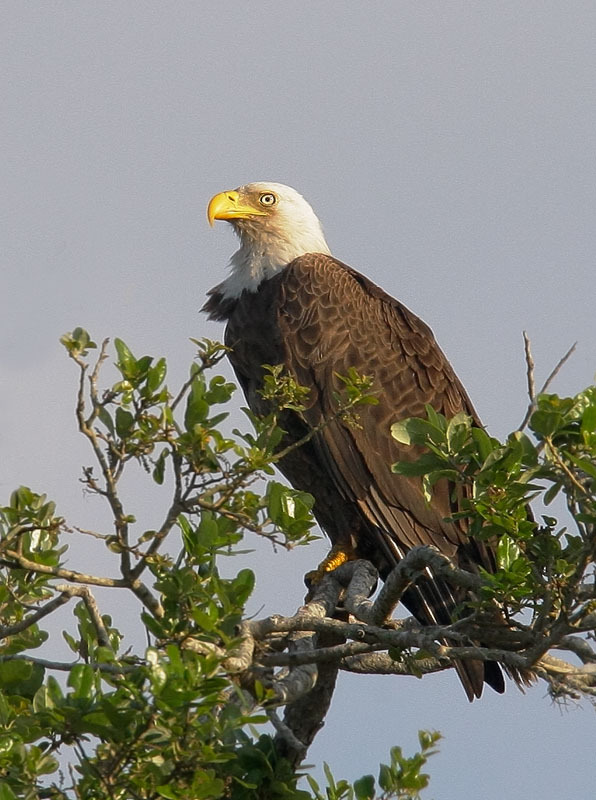 Above, nestlings in full juvenal plumage, ready to fledge--this in beautiful Greenwood Cemetery, Orlando, where Bald Eagles regularly nest. 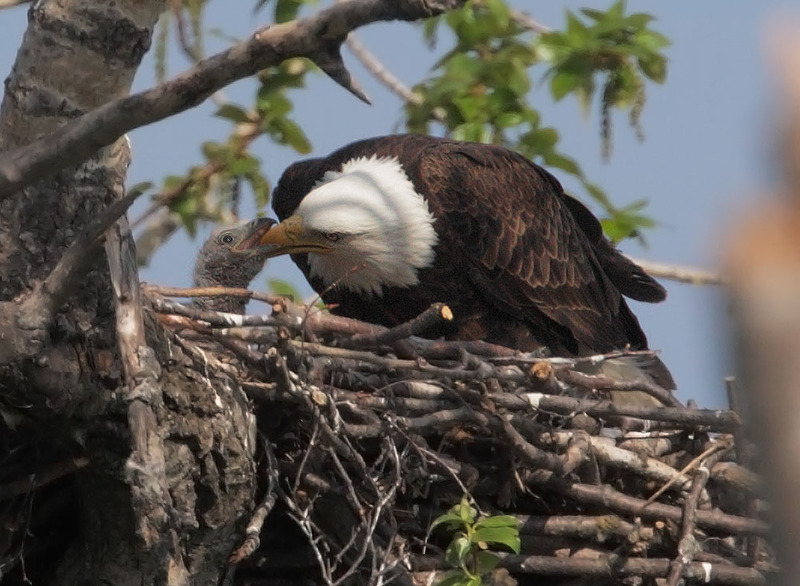 Below, a nestling likewise ready to fledge, and practicing wing-flapping, at a nest in a redwood on the grounds of Curtner Elementary School in Milpitas, at the south end of San Francisco Bay. 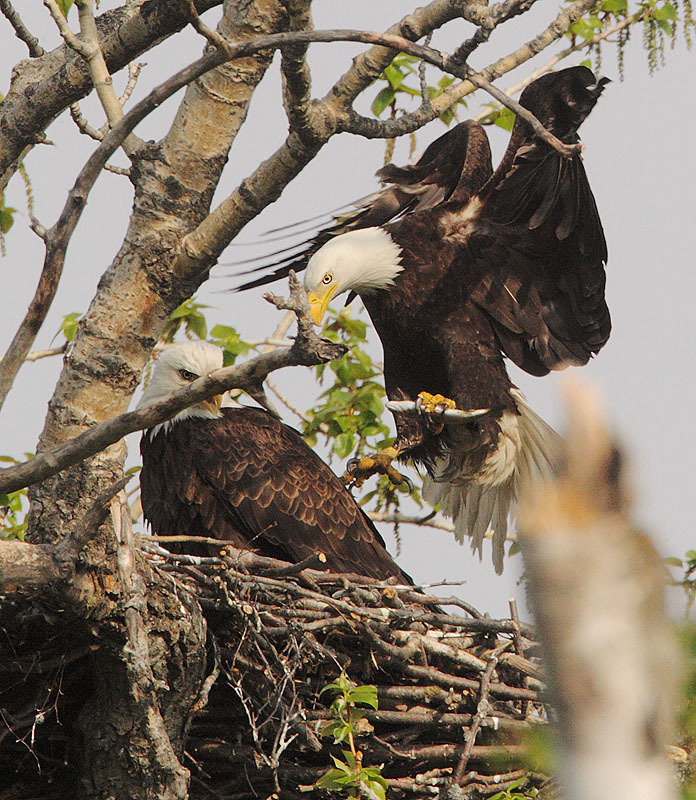 This was the second consecutive year the same pair of Bald Eagles nested in this unlikely spot, providing constant enjoyment and instruction to hundreds of school children! 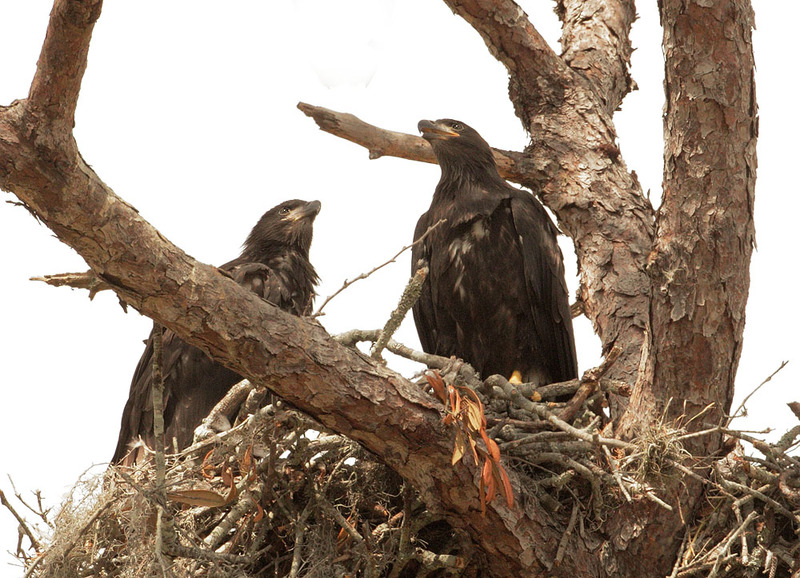 Fledgling Bald Eagles, above in Montana, below in Northern California. 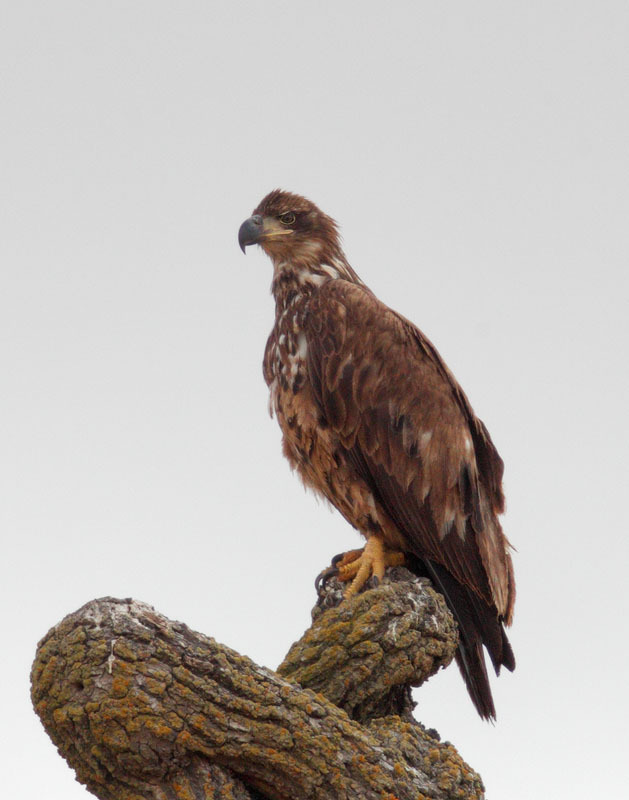 Note mostly dark brown head, gray bill, variable amount of white mottling, and, diagnostic for juvenile, bright yellow rictal flange or "lip" at the back of the mouth on all these birds. 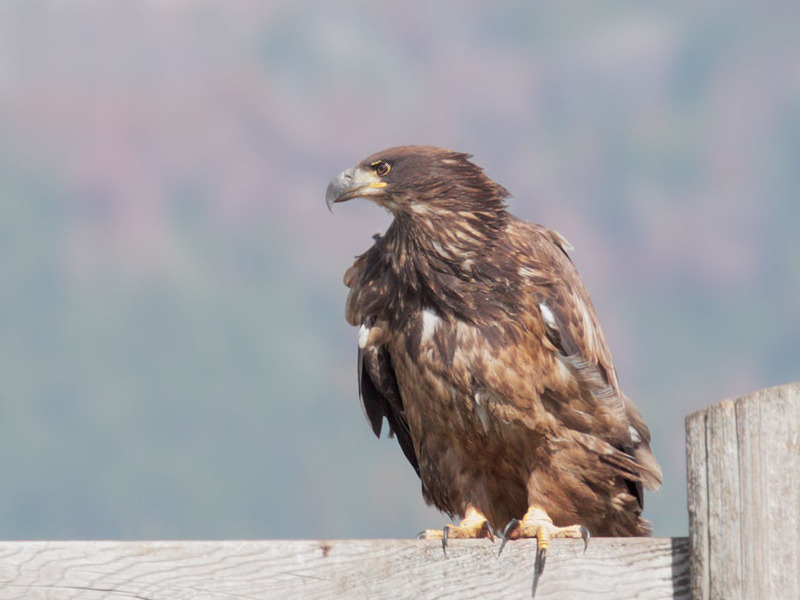 where I live--above in San Benito County, below in Santa Clara County. 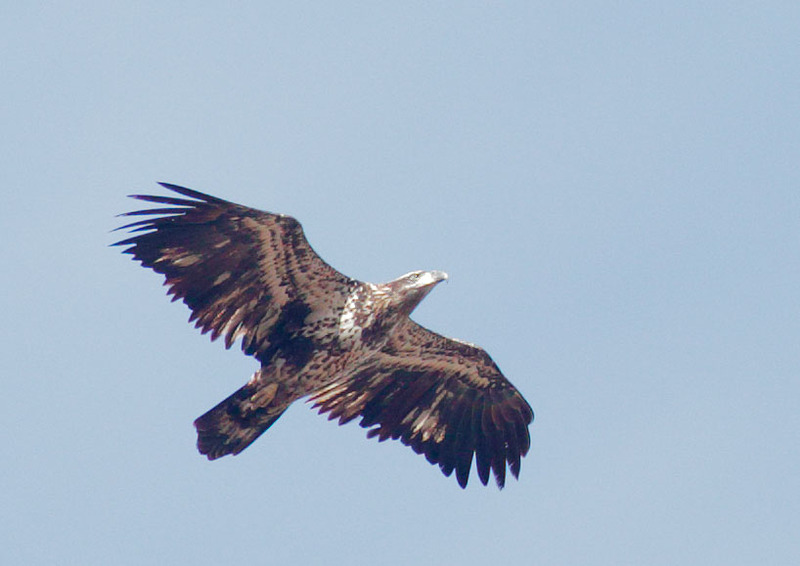 This fledgling shows the all-white axillaries or "wingpit" that decisively distinguishes immature Bald Eagles from Golden Eagles of the same age, which have uniformly dark axillaries. 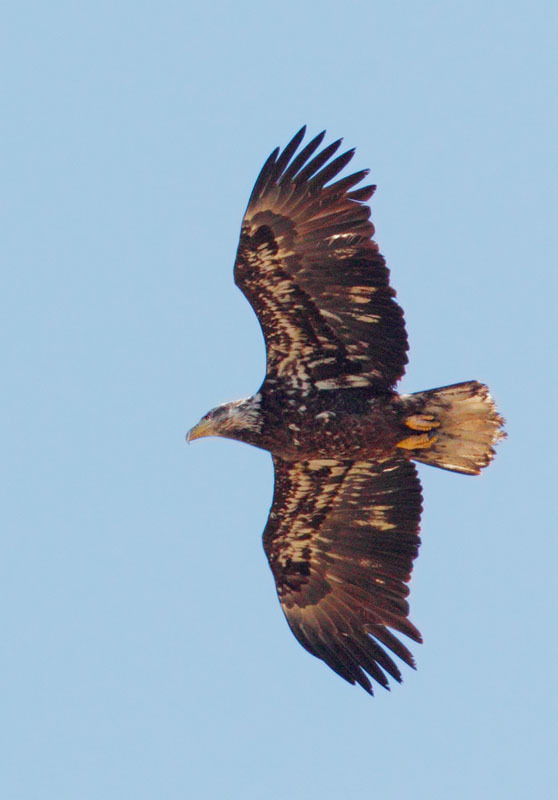 Baldies also have substantially larger heads and bills and longer necks than Goldens, and in flight they glide with wings straight out, whereas Goldens hold their wings in a moderate dihedral, or "V". 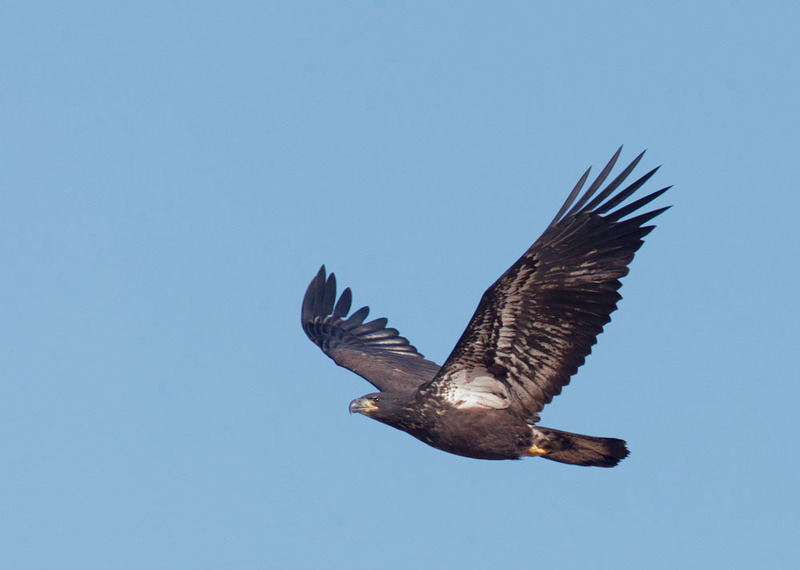 would more often be found on a third year bird.